The Panthers were demolished by New Orleans on Sunday night in what was expected to be a tight divisional matchup, but Saints fans were the ones waving the white towel. In what appeared to be a promotion gone wrong, the team gave out blank white towels — no writing, no advertising, no nothing — to the nearly 75,000 spectators in attendance at the Mercedes-Benz Superdome. 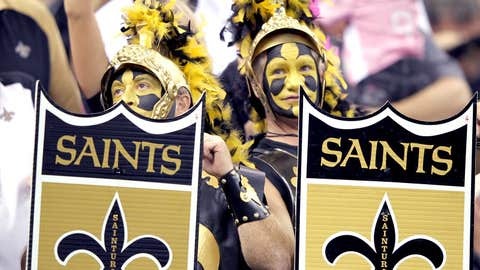 Check out the towel, which will make a very nice dishrag for Saints fans, in the photo below.